The Baby Dino Lake is the perfect inflatable for toddlers. 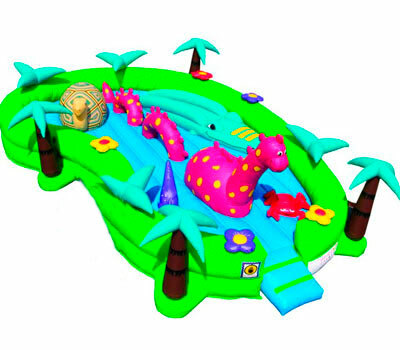 The Baby Dino Lake is filled with attractions that are guaranteed to stimulate the imagination and bring a smile to their faces. This inflatable is a great “active” experience for toddlers in a safe, secure and playful environment and its low side walls allow the caregivers to stand right alongside and enjoy the experience with their little ones.